CREDIT: Courtesy of Analytical Graphics, Inc.
2007:The flotsam created by China's anti-satellite test last month is on the radar screens of space debris analysts, as well as space policy experts. The intentional destruction on Jan. 11 of China's Fengyun-1C weather satellite via an anti-satellite (ASAT) device launched by the Chinese has created a mess of fragments fluttering through space. The satellite's destruction is now being viewed as the most prolific and severe fragmentation in the course of five decades of space operations. A recently issued report by the U.S. Office of the Secretary of Defense has cast an eye on China's growing space capability. The annual report -- The Military Power of the People's Republic of China 2005 - flatly claims that China is developing and intends to field anti-satellite (ASAT) systems. In assessing China's overall military prowess, the U.S. Defense report stresses that China is "facing a strategic crossroads." Noting that China's emergence has significant implications for the region and the world, the Defense Department assessment stresses that "questions remain" about choices that China's leaders will make regarding its military might as that country's power and influence grow. The Secretary of Defense report to Congress was issued July 19, and is a yearly effort that delves into the current and future military strategy of the People's Republic of China. The report's intent is to address "the current and probable future course of military-technological development on the People's Liberation Army and the tenets and probable development of Chinese grand strategy, security strategy, and military strategy, and of the military organizations and operational concepts, through the next 20 years." Within the report's pages, a number of items are flagged specific to China's space capabilities. The document points out that China's space launch vehicle industry is expanding to support the national emphasis on satellite launch capability and its human spaceflight program. In the arena of anti-satellite (ASAT) weapons, China is making headway, the report claims. "China is working on, and plans to field, ASAT systems. 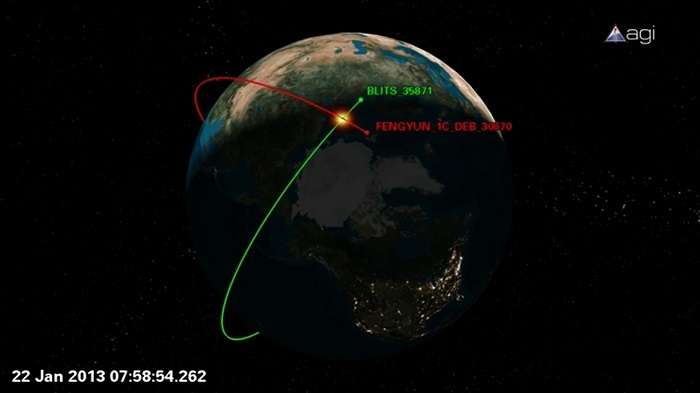 Beijing has and will continue to enhance its satellite tracking and identification network - the first step in establishing a credible ASAT capability. China can currently destroy or disable satellites only by launching a ballistic missile or space-launch vehicle armed with a nuclear weapon. However, there are many risks associated with this method, and consequences from use of nuclear weapons," the report says. China is also conducting research to develop ground-based laser ASAT weapons. The report cites the U.S. Defense Intelligence Agency as believing that Beijing "eventually could develop a laser weapon capable of damaging or destroying satellites." Given this technology -- at lower power thresholds - "Chinese researchers may believe that low-energy lasers can 'blind' sensors on low-Earth-orbiting satellites," the report suggests, but whether Beijing has tested such a capability is unclear. Jeffrey Lewis, a Research Fellow at the Center for International and Security Studies at the University of Maryland's School of Public Policy in College Park, Maryland, is skeptical of some of the Pentagon's assertions. The important point to ask, according to Lewis, is how does this report compare to previous years? "In general, the 2005 edition is much more detailed than previous reports. But not when it comes to Chinese ASAT capabilities," Lewis told SPACE.com. "Although the 2005 edition does flatly state--as have previous reports--that China intends to field ASAT systems, the 2005 edition omits most of the evidence cited in previous reports, including discredited claims about the development of a parasite microsatellite and a ground-based direct ascent ASAT that was supposed to be fielded as early as this year." Lewis said that, although the U.S. Department of Defense is still willing to assert that China intends to deploy ASATs, "it's pretty clear they don't have any evidence to back that up." In a section on China's "Space and Counterspace" activities, the report contends that Beijing has focused on building the infrastructure to develop advanced space-based command, control, communications, computers, intelligence, surveillance, and reconnaissance (C4ISR) and targeting capabilities. "Building a modern ISR [Intelligence, Surveillance, and Reconnaissance] architecture is likely one of the primary drivers behind Beijing's space endeavors and a critical component of its overall C4ISR modernization efforts," the report states. Beijing's ongoing space-based programs with potential military applications include its manned spacecraft activities. The U.S. Secretary of Defense assessment notes that China launched its first manned spacecraft into Earth orbit on October 15, 2003. Furthermore, Chinese press reports indicate that it will send up a two-person crew on a five-day mission in September of this year. China has two remote-sensing satellite programs known as Ziyuan-1 (ZY-1), also known as the China-Brazil Earth Resources Satellite, and ZY-2. China launched the ZY-1B in October 2003. 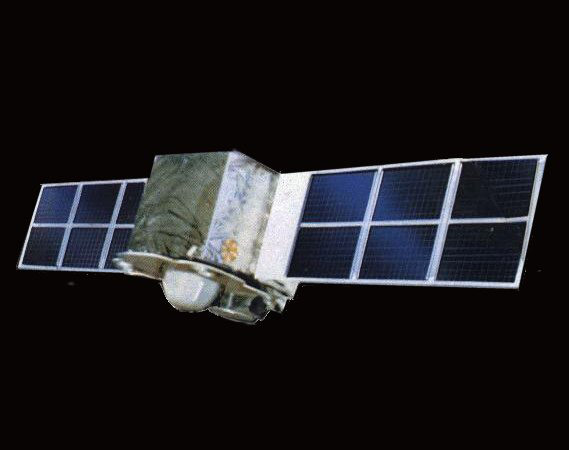 A third ZY-2 satellite was launched in October 2004. ZY-2 payloads probably are digital imagery reconnaissance satellites and have worldwide coverage. Beijing also tested new film-based imagery satellites and small digital imagery satellites in 2003 and 2004. China is interested in electronic intelligence (ELINT) or signals intelligence (SIGINT) reconnaissance satellites. Although these digital data systems probably will be able to transmit directly to ground sites, China may be developing a system of data relay satellites to support global coverage. Furthermore, Beijing has acquired mobile data reception equipment that could support more rapid data transmission to deployed military forces and units. China is studying and seeking foreign assistance on small satellites. It has launched a number of them, including an oceanographic research satellite, Haiyang (HY)-1, in 2002 with at least two more satellites in this series, HY-2 and -3, expected. Beijing launched four small satellites during 2004; two of these probably have imagery missions and the other two possibly are conducting space environmental research. Other missions for satellites of this class include Earth observation, communications, and navigation. China is developing microsatellites - weighing less than 220 pounds (100 kilograms) - for remote sensing and networks of electro-optical and radar satellites. In April 2004 Beijing launched a microsatellite with a probable imagery mission. A joint venture between China's Tsinghua University and the United Kingdom's University of Surrey is building a constellation of seven mini-satellites. The U.S. Department of Defense report also scopes out various trends in space modernization, including the goal of rapid launch satellites. "With ever-better satellites, China is becoming a peer in quality to the world's leading producers," the report says. In human spaceflight, after China's two-person mission scheduled for this fall, the report explains that China hopes to conduct space walks and docking missions with a space lab by 2010, followed by a full space station by 2020. The report observes that in 2004, China placed 10 satellites into orbit, the most of any year, and has a similar schedule through 2006. "It hopes to have more than 100 satellites in orbit by 2010, and launch an additional 100 satellites by 2020." In the next decade, the report continues, Beijing most likely will field radar, ocean surveillance, and improved film-based photo-reconnaissance satellites. "China will eventually deploy advanced imagery, reconnaissance, and Earth resource systems with military applications." In the interim, the report adds, China probably will supplement existing coverage with commercial SPOT (France), LANDSAT (U.S.), RADARSAT (Canada), Ikonos (U.S.), and Russian satellite imagery systems. John Tkacik, Jr., a Senior Research Fellow in China Policy in the Asian Studies Center at The Heritage Foundation, a Washington, D.C. conservative think tank advised that the Pentagon report deserves a careful reading. Doing so would leave a reader with no doubt that China's "ambitious" weapons modernization and doctrinal reforms are aimed at promoting vast increases in its "comprehensive national power." The compendium of Pentagon facts in the new report describe a China already well past any "crossroads" he stresses in a July 25 press statement from the group. Tkacik notes that China's next steps--disputing the Pentagon's view--is, in his opinion, not hard to forecast. He suggests that the report's view of "current trends" indicate China has already chosen a pathway along which China would emerge to exert dominant influence in an expanding sphere.